Analyzing financial information is key to any successful organization; that’s why accounting is a required core course on nearly every MBA program. An MBA in Accounting or Taxation is also valuable for experienced accountants or tax professionals pursuing broader or executive roles in areas like asset management, corporate finance, private equity, and mergers and acquisitions. Because of the analytical focus, a school that's strong in finance is generally also strong in accounting and taxation. Some schools offer MBA specializations in Accounting or Taxation, while others allow students to pair their MBA with a CPA or a Master of Accounting. The school’s Tax Center provides a range of relevant networking opportunities, such as an annual tax symposium as well as joint conferences with groups like the American Tax Policy Institute. 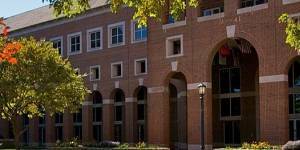 Kenan-Flagler offers a range of accounting programs, including a PhD in accounting. In 2015, the school launched an online version of its well-regarded Master of Accounting program. Fordham’s unique dual-degree MBA in Public Accounting/MS in Taxation prepares students for a range of roles in financial institutions, multinational companies, and accounting firms. For those not prepared to commit to a dual-degree program, Fordham also offers an MBA specialization in Accounting. Schulich’s MBA specialization in Accounting offers a robust selection of electives, covering financial accounting, taxation, auditing, and more. 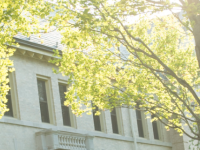 Students who graduate from the specialization can get advanced standing in the Schulich Master of Accounting (MAcc) program; the school’s MBA is accredited by CPA Canada. 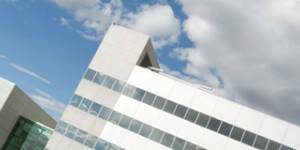 Stern offers an MBA concentration in Accounting, is in a prime location for job for jobs in finance, and is ranked among the top-10 MBA programs for accountancy by US News and World Report. In 2015, the school launched a one-year Master of Science in Accounting, which satisfies the education requirements of CPA certification in New York state. In 2017, all of the Big Four accountancy firms hired full-time MBA grads from NYU. Currently ranked as the top accounting MBA program by U.S. News and World Report, McCombs also consistently places on top of the annual Public Accounting Report ranking of US graduate programs for accounting. Each year, faculty publish a range of accounting-related research; the school also offers a Master in Professional Accounting program. The school offers not one but three separate MBA specializations in Accounting, including a joint concentration in Accounting and Information Systems. 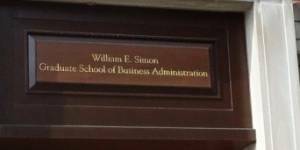 Given the school’s strong faculty and placements in finance jobs for MBA grads, it’s no surprise that Simon often shows up in various accounting specialty rankings. Booth’s Accounting Research Center publishes the Journal of Accounting Research, one of the oldest private research journals in the field. The school offers an MBA concentration and enticing co-curricular activities for finance- and accounting-bound participants. In 2017, Deloitte—one of the “Big Four” accountancy firms, snapped up 6 Booth MBAs. Only few Wharton MBA grads land jobs solely with an accounting/controlling function, but the school is a well-known launching pad for careers in related roles in corporate finance and M&A, investment banking, and portfolio management. The school also boasts a large accounting faculty. Shanghai’s CEIBS has attracted students looking to work in finance. It boasts a strong alumni network in China, and it launched a specialized part-time Finance MBA program in 2011. Considered the best undergraduate accountancy program in the United States by the Wall Street Journal, Marriott’s MBA is also ranked in the top-ten for MBA programs in the field by US News and World Report. is a masters an accounting a good degree? is a masters an accounting a good degree? which Ms in Accounting? which Ms in Accounting?